Mid-priced fly rods occupy a strange place these days. Some are just a half-notch away, in terms of overall quality, from their upscale brethren, while others truly belong in the mid-priced category. The Sage PULSE belongs in the former category. The blank/hardware package isn’t far from what the manufacturer offers in their top-shelf lines. Sage states in their promotional literature that the new PULSE fly rod is “designed to be your workhorse rod.” I’m always wary of promotional literature, but I can, in this one instance, say that they’ve hit the nail on the head. As mentioned earlier, the swing weight is pronounced, so the PULSE is a little clunky if you’re casting short much of the day. Other than that, the PULSE is a highly versatile rod. Sage has employed their graphite IIIe technology (glass scrims within layers of graphite), ensuring that all the power you need is readily available. 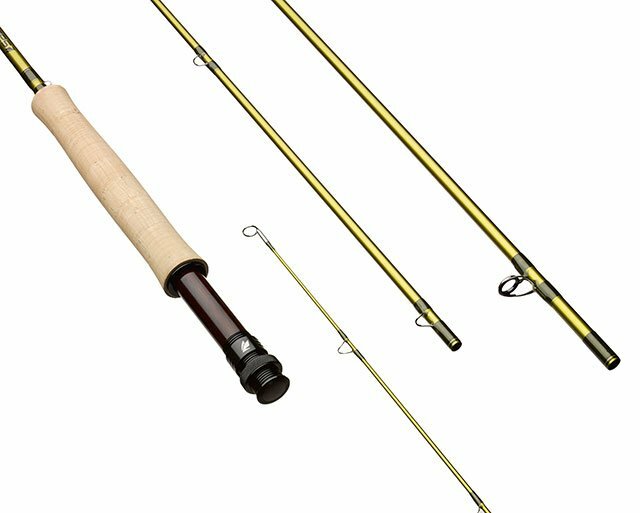 What the IIIe tech also offers—and what I liked most about this rod—is that it offers a very connected feel, not a key attribute of most fast-action rods out there. The PULSE easily supports Sage’s marketing claims: it will be your workhorse, from freshwater to saltwater, single-hand, switch, or Spey. This is a also rod whose robust spine will tempt you to search out corresponding quarry. Chunky smallmouth, you’ve been warned.